Deciding what kind of gift to buy is never an easy task for me. I always am searching for that perfect gift that I will know when I see it. It is stressful because I want to find something both unique and special as well as affordable. Buying a gift shouldn’t be stressful at all. In fact it should be a fun process. I guess the difference is visiting the right kind of shop to buy your gift. This makes all the difference in the world. Today I am featuring a fabulous Canadian company called Finest Expressions. They are the solution for your wedding and baby gift buying woes and you will be able to find that perfect gift that is just calling your name. Â I had a look through their site and I am in love with all the pretty gifts they have. I will definitely be seeking them out for my next wedding or baby shower event. They have lots to choose from including unique and trendy baby gifts like Diaper Cakes, Baby Clothing Bouquets, and Baby Shower favours as well as Wedding and Party Favours. Check them out and bookmark their site so you can find them when you have an occasion that requires a special gift. Please tell me a bit about Finest Expressions. Finest Expressions is a dream of two sisters to create baby & wedding gifts that are not only useful today but also remembered for many years to come. Each gift is designed with our full attention and utmost creativity. We absolutely love what we do and enjoy everyday we spend creating unique gifts for our customers. We have a wide selection of adorable baby gifts and exquisite wedding/party favours. Most of our products are hand-crafted in-house, such as our baby diaper cakes, candy trees and baby clothing/sock bouquets. We also carry baby gift baskets and design custom gifts using clientâ€™s budget and theme preference. We carry DIY Favour Kits for weddings, corporate events, baby showers and other themed parties. Theses beautiful and easy to assemble favours come complete with box, ribbons/accessories and personalized tags for an incredibly reasonable price. If you are tight on timelines, we offer complete wrapping up and assembling service as well. Since we carry baby and wedding/party products, we have two set of customers. For our baby gifts, I can’t say we have a typical customer. 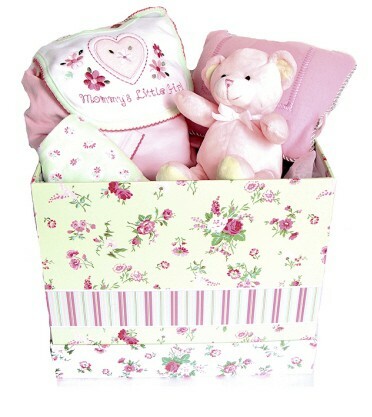 Everyone needs baby gifts at some point for loved ones, business clients or their employees. Brides and grooms-to-be are our typical wedding favours customers. While our other party favours interests event planners, families and friends who are organizing baby/bridal showers. Unlike the common gift baskets offered by other retailers/e-tailers, Finest Expressions doesn’t use cheap fillers to complete their gifts. All the gifts have items handpicked by their experienced and dedicated gift designers. Clients will find a unique selection of gifts ranging from hype and trendy to more traditional and sophisticated designs. Apart from offering high quality products the company prides itself in providing excellent customer service that contributes in making an unforgettable gifting experience. Baby Diaper Cakes! We design these hand crafted baby cakes with brand name diapers (Pampers or Huggies). They are decorated with baby items such as clothing, blankets and plush toys. They are secured using ribbons and embellishments so they look super cute! All diapers and baby items can be used once you are ready to disassemble the cake. A practical and beautiful gift for the baby and mom-to-be. We have been in business since September 2007. We hope to expand our baby gifts line and become a one stop shop for all your baby shower needs. 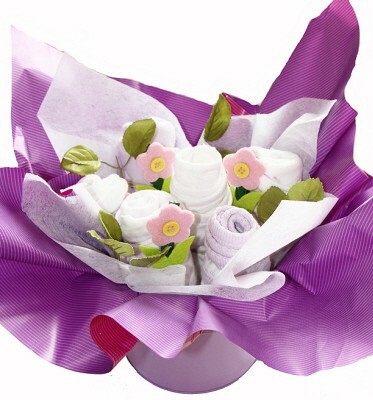 We will be introducing eco-friendly baby diaper cakes, clothing bouquets and gift baskets as well. We are always in search of new and unique wedding favours to bring to our clients. This month we will be launching our favour cakes line and also adding more favour designs to our wedding gallery. We currently ship to Canadian destinations only but shortly we will be expanding to the continental United States.